Perhaps you heard about the sudden high demand for IOTA tokens? It started happening after the IOTA Foundation teamed up with 20 other companies, including Microsoft and Fujitsu, to create a decentralized marketplace for data. The marketplace, along with the IOTA network, will be integrated into the Internet-of-Things devices manufactured by other companies in the partnership. These devices will generate and collect data through their use, and the manufacturers will then be able to sell that data. 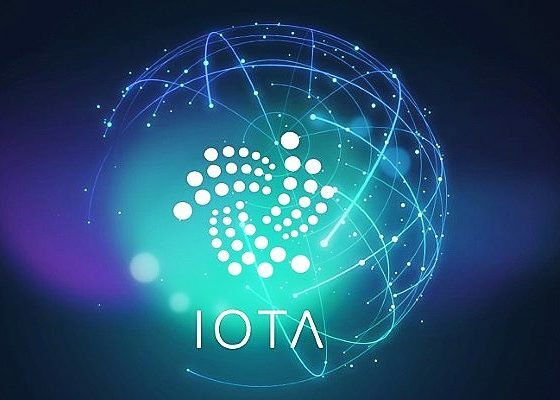 The IOTA cryptocurrency has been positioned extremely well to become the first virtual coin to actually be adopted for practical, real-world use. 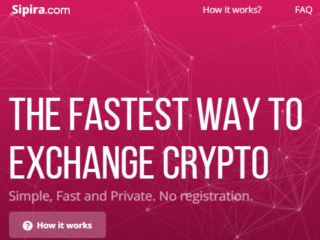 However, despite its surging popularity, there are only a handful of exchanges where you can buy, sell, or trade the MIOTA coin. Bitfinex (BFX) is a major Hong Kong-based cryptocurrency exchange specializing in trading that entered the market in 2012, and has been expanding steadily ever since. Bitfinex facilitates the U.S. Dollar-based trading of Bitcoin and 7 other altcoins, including IOTA (MIOTA), as well as full-spec wallet services. It is one of the best exchanges to buy IOTA. Bitfinex has the reputation of being one of the world’s biggest and most advanced cryptocurrency exchanges. Advanced trading features, deep liquidity and access to multiple altcoins make Bitfinex a contender for serious traders who want all of the options at their fingertips to help them make money from cryptocurrency. Another thing that has made Bitfinex popular is that no verification required for only depositing cryptocurrency. If you want to deposit fiat currencies like dollars or euro, then you have to verify your ID. Bitfinex features an advanced, customizable GUI, over 50 trading pairs (e.g. IOT/USD), and plenty of order types, such as limit, market, stop, stop-limit, trailing stop, fill or kill, and scaled orders. These features combine to make it a popular exchange with more sophisticated cryptocurrency traders. Free deposits and fairly cheap withdrawals are available for Bitcoin and the following altcoins: Litecoin, Ethereum (Classic), Zcash, Monero, Dash, Ripple, IOTA, EOS, Santiment, OmiseGO, Bcash, NEO, Metaverse ETP, Qtum, Aventus, EDO, and Bitcoin Gold. Bitfinex has a tiered fee structure. Trading fees range from 0% to 0.2% depending on your trade volume over the previous 30 days, and whether you’re paying maker fees or taker fees. Bitfinex is available globally with some exceptions. Canadian traders can use Bitfinex, but, unfortunately, US-based traders cannot. If you’re an experienced cryptocurrency trader, Bitfinex can offer everything you need and more. But if you’re new to the cryptocurrency world and looking to get your first coins, Bitfinex might not be your best choice. The lack of fiat funding options and the complicated interface will certainly take time to master and will likely lead to costly mistakes. Binance is another Chinese cryptocurrency exchange popular for its crypto-to-crypto transaction services. But it moved its servers and headquarters into Japan in advance of the Chinese government ban on cryptocurrency in 2017. It has managed to gain a lot of popularity thanks to its impressive number of Initial Coin Offering listings and its low trading fees. It is quite easy to buy and sell cryptocurrencies through the Binance exchange, while additional features make the platform capable of handling complex trading operations as well. 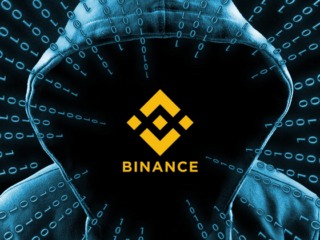 Binance has two user interfaces – for Beginners and Advanced users – so it is easy for newbies to execute simple trades. 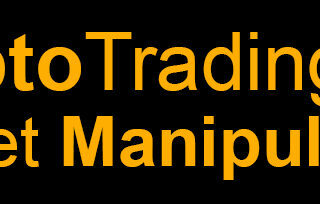 It also provides professional traders with access to more complex options, such as margin trading. Binance offers a crypto-to-crypto exchange, meaning that it doesn’t facilitate transactions with any fiat currencies. Traders can use the platform for multiple digital currencies, including, but not limited to, IOTA, Bitcoin, Bitcoin Cash, Bitcoin Gold, Ethereum, Ethereum Classic, EOS, Dash, LiteCoin, NEO, GAS, Zcash, Dash, Ripple and others. Deposits are free while withdrawal fees do apply, although they generally correlate with the blockchain transaction fees. When trading on Binance, you will be charged a 0.1% fee foreach trade. Using the BNB token reduces transaction fees on trades by a specified amount: 50% during the first year, 25% during the second year, and so forth. Binance bridges the west and east, as it is available worldwide. The exchange’s low fees combined with the team’s proven knowledge of how to build a trading platform is enough to make it a major player. The exchange also works on all forms of devices, including web, Android, WeChat, and HTML5. Non-English speakers will be happy to know that Binance offers multiple-language support in Chinese, English, Korean and Japanese. OKEX is a multi-cryptocurrency exchange allowing users to trade crypto and fiat-backed tokens. It is an offspring of the OKCoin exchange, the brainchild of investor Star Xu that was originally founded in 2014 in China, but has recently relocated to the crypto-friendly island of Malta. OKEX also provides digital asset-based futures with multiple leverage choices. Additionally, OKEX has built a suite of algorithmic trading tools designed for professional traders. Complementary products include a wallet, a vault and a block explorer. The trading platform specializes in BTC and LTC futures, but it also supports IOTA. You can trade on margin with up to 10x or 20x leverage, or hedge to lock in your mining profits. The exchange is available on iOS, Android, Mac OS X and Windows. OKEX is one of the few crypto-exchanges which offers a stand-alone desktop platform. It is well capitalized with $10 million (USD) backing from investors like Tim Draper, Ceyuan and Mandra Capital. ID Verification is only required if your trading limit per day is set to more than 1.000 BTC. OKEX provides top level digital currency trading services for bitcoin, Litecoin, Ethereum and, of course, IOTA. The fees are set per tier. The maker can range between 0.15% and 0.02% depending on your tier. The taker fee can range from 0.2% to 0.05% depending on your tier. OKEX exchange is great for new traders, as it supports multiple currencies including IOTA; it also works great for high rollers, as there are no substantial limitations and it supports futures trading as well. Coinone is South Korea’s third largest cryptocurrency exchange founded in 2014, and the team behind this exchange looks very solid. There aren’t any reports of any major hack at this exchange. Unlike most exchanges, Coinone offers margin trading, with a maximum leverage ratio of 1:4. This involves borrowing coins from other traders. The actual exchange platform is rather well-designed, which is probably one of the contributing factors to this venue’s popularity. Two-Factor authentication is available, which is not surprising, since the second requirement to get your account verified is an active mobile phone number. 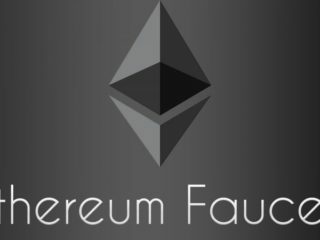 Another interesting feature is their ability to be a multi-sig wallet as well. The website is not just an exchange platform, but doubles as a wallet, too! Trading only against KRW – While this exchange offers several altcoins, and IOTA is on the list, they can’t be freely traded against one another. Depending on the amount of KRW that has been traded within a month, the maker and taker fees vary from 0.1% down to 0.02% for makers and 0.1% to 0.06% for takers. And it does not charge fees on deposits (regardless of the method of payment). It might be difficult, or even impossible, dealing with this company if you are not Korean, as they require having a local bank account. It is technically possible, but you will have to jump through a lot of hoops. Coinone is one of the leading Korean cryptocurrency exchanges. They have been around since 2014 and act as an entry level service for locals. And the only thing we dislike about them is that they are not yet open for people living outside South Korea. CoinSpot is an Australian platform founded in Melbourne in 2013, and, one of the few options for Americans to buy IOTA coin at the moment. 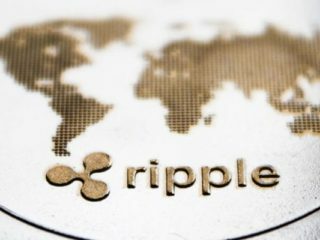 It trades a wide range of coins, such as Bitcoin, Ethereum, Ripple, Dash and even IOTA. You can only deposit money through the POLi Payments system which does make it more difficult if you want to fund your account using Australian dollars. They require you to verify your account before making any deposit with Australian dollars. But, verification is only necessary if you want to trade bitcoin for Australian dollars. If you will be depositing Bitcoin/Litecoin, trading it for IOTA, and then withdrawing IOTA, no verification is required. CoinSpot does not provide what one would typically call a trading platform. The service has a convenient dashboard, which allows you to monitor your different wallets. The overall summary of this “platform” is that it does the job. Experienced traders will not see it as a benefit, but newbies will enjoy the simplicity. The company supports over 100 different crypto coins and tokens including the world’s largest cryptocurrencies and a host of more exotic offerings like IOTA. And this is a very wide array, especially for a company which specializes in accepting fiat currencies. The fees vary among the coins, and also depend on how busy that coin’s network is. Currently, CoinSpot caters to the local Australian market. Cryptocurrency is a borderless technology, but exchanges like CoinSpot are still subject to local laws and regulations. CoinSpot is a well-known company respected in the local Bitcoin community. The entire service is very beginner-friendly, but this comes at a cost. While the fees for fiat to crypto trading are acceptable, trading one coin for another comes at much higher rates compared to other exchanges. Gate.io is a new investing site designed to help investors when they need to have specific information about the market. The site has been in operation since 2017 and aims to capture a portion of the cryptocurrency trading market by offering its users hassle free access to a number of hard-to-find coins and up-and-coming projects. It is also designed to help investors find specific information related to both their preferred coins and overall market trends. As a new entrant to the market, Gate.io is currently accepting new registrations and accounts can be created free of charge. The site monitors the markets in real time and brings that information to its readers. With the help of the site, the user can see the current price, volume, supply, market supply and changes in the price of the cryptocurrencies. Gate also lists a graphic of the changes in price for each token for the last three days. Trading mostly takes place on a web-based trading platform that is similar to those of most cryptocurrency exchanges. The site incorporates a number of functional features, such as an order book, trading history, and charting. In addition to this Gate.io provides a mobile app that is available to both iOS and Android users. Keep in mind that leveraged trading is not supported by Gate.io. In addition, Gate.io provides wallets for all account holders for free. It uses cold storage and a hot wallet, so your sending address for a digital asset will not be the same as your deposit address. The list of coins available at Gate.io includes 50+ coins: Bitcoin, Ethereum, Litecoin, Ripple, Dash, Qtum, OmiseGO, EOS, Zcash, Dogecoin and IOTA. The trading instruments are grouped into several categories such as: USDT Markets, BTC Markets, and ETH Markets. There is also an option to create a custom group via the My Markets feature. Gate operates a low fee system in relation to most cryptocurrency exchanges and as a crypto-to-crypto exchange; a fee of 0.2% applies to all trades executed on the platform. A withdrawal fee is deducted from each particular asset and the fee amount depends on the digital currency that you choose to withdraw. The company operating the Gate.io brand and website is based in Virginia, U.S. It is neither overseen by local financial watchdogs, nor is it holding a NY Bitlicense. The site is fairly new, but it has a great number of cryptocurrencies available. The exchange will probably appeal to traders looking for specific coins like IOTA and should also prove attractive to Chinese traders. The platform is suitable for seasoned investors who already possess blockchain assets, since it only supports blockchain transfers and no fiat money. HitBTC is a multi-faceted cryptocurrency exchange and a trading platform founded in 2013. 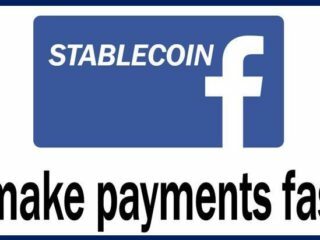 It accepts two payment types: bank transfers and cryptos. So if you want to buy some IOTA coins, you can do it by transferring some USD or EUR from your bank account into your HitBTC account. There is no clear information on the registered location of the platform. Some say Europe, others say Hong Kong. But it is known for sure that HitBTC is run by a Chicago-based company called Hit Techs Limited. So we may call it a U.S. exchange. It also claims to be the world’s most advanced bitcoin exchange. Let’s find out why. HitBTC is best-known for being a robot-friendly exchange. It offers a robust set of APIs that make it attractive to trading bot developers. Like most other exchanges, HitBTC promises to be safe and secure thanks to 2-factor authentication, advanced encryption technology, and the use of cold storage. HitBTC is one of the few exchanges that supports direct fiat/cryptocurrency trading, although users do need to go through a fairly stringent verification process to take advantage of this feature. HitBTC has a full-fledged demo that can introduce users to the world of bitcoin and cryptocurrencies. Many traders got their start with HitBTC. It supports over 150 tradable digital assets, including cryptocurrencies, tokens and initial coin offerings: bitcoin, Dogecoin, Litecoin, the Euro, USD, and a surprising range of lesser-known cryptocurrencies like IOTA. “Takers” are charged 0.1% fee for a trade. “Makers” are not charged a fee. On the contrary, they receive a 0.01% rebate trade. HitBTC is designed to accommodate both advanced and novice traders. It is also suitable for traders dealing with large volumes. These features, combined with a robot-friendly API, make HitBTC a very popular option among trading bot developers – and among beginners. Huobi Pro is the world’s digital asset exchange tool that offers its services to traders worldwide, controlled by Huobi global team. It’s headquarters is located in Singapore and has offices in Hong Kong, Korea, Japan and the United States. The exchange currently provides investment services for more than a hundred digital assets. The Huobi group core values include integrity, transparency, innovation, an enterprising spirit and cooperation. Huobi.pro allows its users to trade more than 190 cryptocurrency pairs, allows traders to deposit and exchange dozens of different currencies, has 0.2% trading fees and 24/7 customer service. Huobi.pro uses a smart chain evaluation model that gives the total analysis for the entire blockchain asset ecosystem. The model also provides strategic views based on research done and unique indicators to verify the potential and risk of an investment. Huobi Autonomous Digital Asset Exchange (HADAX) is a tool that enables users of the Huobi platform to have the right to vote to allow token listings. Users can conduct the voting process if they possess the Huobi tokens known as HT tokens. Only tokens that have top votes will have a listing on HADAX. 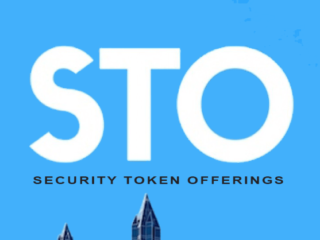 Users can get HT tokens during the listing at the Initial Coin Offering. Huobi.pro allows you to trade a wide range of digital coins and tokens, including IOTA. The full list of supported currencies is available on its website. However, VIP users can access discounted platform fees based on their VIP membership level, which can be purchased with Huobi Tokens (HT). There are no fees for depositing funds into your account, but withdrawal fees do apply. Huobi.pro is available in 130 countries throughout the world. Huobi has the top-of-the-world risk and security control system. It has a lot of experience in digital asset management and risk control. The platform also has an independent and professional evaluation model. It is dedicated to discovering every investment opportunity globally. 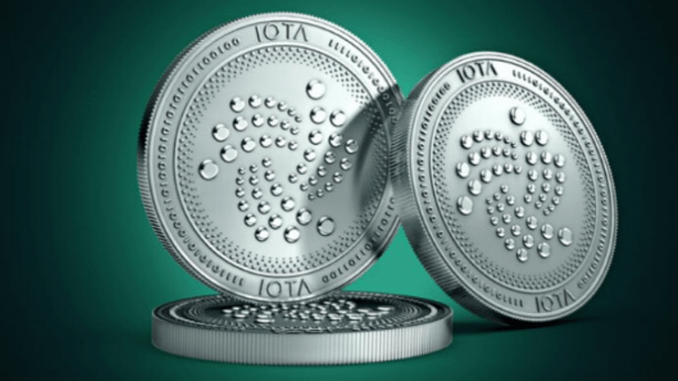 IOTA (MIOTA) coin is a relatively young cryptocurrency and it might be a bit difficult to purchase it. 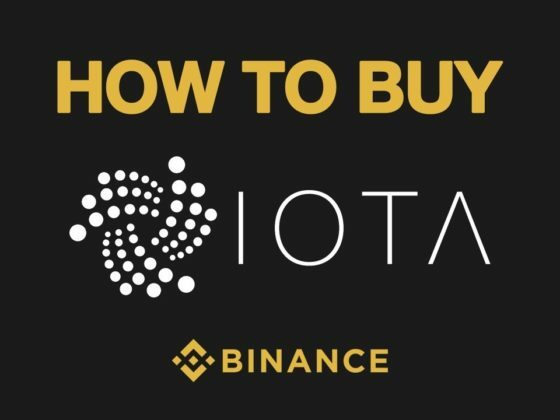 But we hope that our guide was helpful and made your life a bit easier, as now you definitely know where you can buy the desired IOTA crypto.